Wednesday evening’s Powerball jackpot is the largest in world history, according to Lottery officials. As of midday Wednesday, the jackpot climbed to over $1.5 billion. The cash payout for a single winner would be $930 million. The Powerball jackpot has created a frenzy lately at local retailers who sell Lottery tickets. Saturday night’s $949.8 million Powerball jackpot had Lottery players swarming retailers for a chance at the record prize, but no one won during that drawing. The same can be said about tonight’s drawing, with lines formed at convince stores and gas stations all across the state just to purchase a ticket. While no players won the jackpot last Saturday, three Michigan players matched the five white balls drawn to win $1 million. According to the lottery, the former record Powerball jackpot was $590.5 million, won on May 18, 2013, by Florida resident. The largest Powerball prize in Michigan was a $337 million Powerball jackpot won on Aug. 15, 2012 by a Lapeer resident. 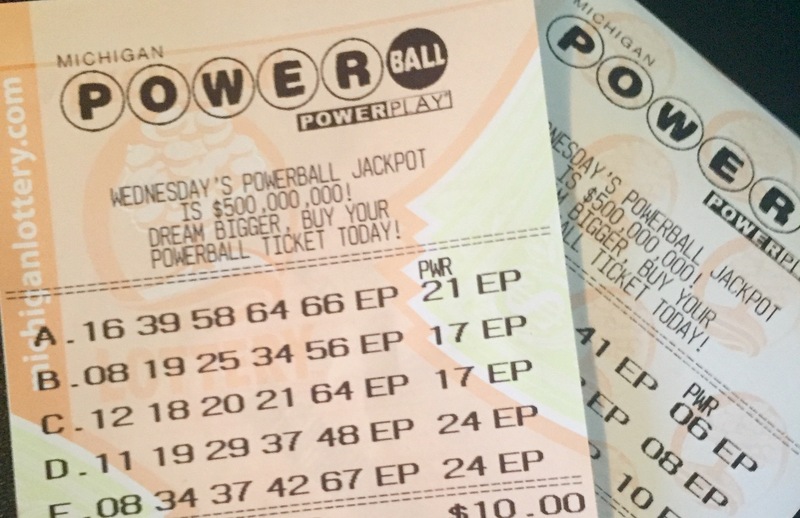 That jackpot holds the record for the largest Lottery prize ever won in Michigan. The Powerball drawing takes place at 10:59 p.m. Wednesday and Saturday nights, and may be watched live online at http://www.powerballlive.com/powerball. Powerball tickets are sold in 44 states, Washington D.C., U.S. Virgin Islands, and Puerto Rico. This entry was posted in Events, Other News on January 13, 2016 by Scott Bolthouse.